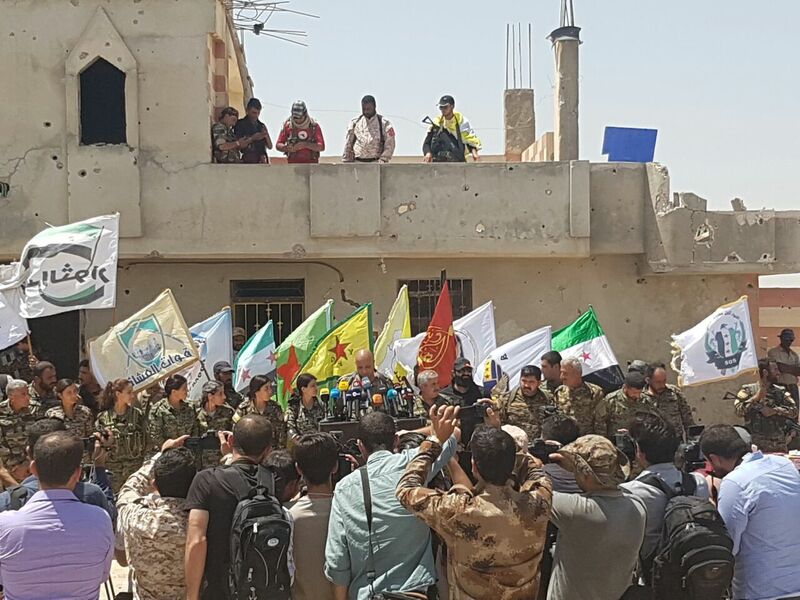 RAQQA, SYRIA (June 6, 2017) – “The fight is fierce”: The decisive offensive for the expulsion of the IS militia from its Syrian stronghold Raqqa has apparently started. Raqqa is currently surrounded from the east, north and west and opposition activists have reported intense shelling on the city since Monday night. “The fight for Raqqa will be fierce because the Daesh fighters will die to defend their so-called capital,” said Talal Silo, SDF spokesman. The coalition, which has deployed special forces personnel to train and advise SDF fighters on the ground, believes there are between 3,000 and 4,000 IS militants holed up inside Raqqa. Since the beginning of the military operation to liberate Raqqa in November 2016, the forces of the Syrian Democratic Forces (SDF), led by the Kurdish YPG militia, have moved further and further towards the big city. They are increasingly supported by the US with weapons, ammunition and special forces. Turkey’s Prime Minister Binali Yildirim said on Tuesday the Ankara will retaliate immediately if the operation by U.S.-backed forces to capture Raqqa presents a threat to Turkey. Turkey views the Kurdish YPG militia within the Syrian Democratic Forces as a terrorist group aligned with PKK who have fought in southeast Turkey since 1984.